Does it have to be watered in? No, it does not need to be watered in. 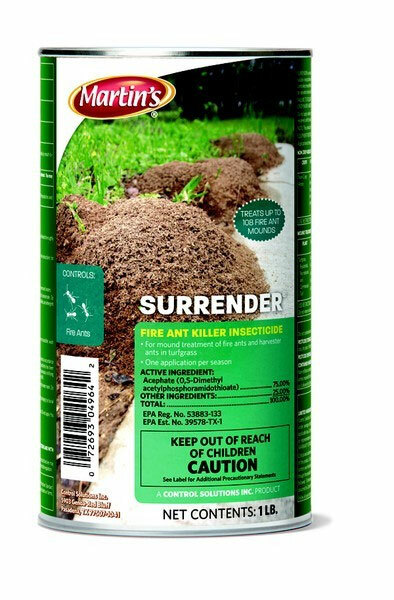 Simply sprinkle 2 tablespoons of Acephate powder over and around the fire ant mound. Be sure to stay up wind and don't allow the wind to blow any on you. Keep the container away from your face and let the wind blow it away from you. Reapply as needed.